Giant Vitamin Water has been introduced into the Nigerian market. The new drink is produced by Giant Beverages Limited located in Ikorodu, Lagos. The introduction of the new product according to analysts, has the potential of reshaping the non-alcoholic beverage market in Nigeria. It will satisfy the yearnings of lifestyle-conscious consumers for healthy non-alcoholic beverage that actually satisfies their thirst without the worries of excessive sugar intake. 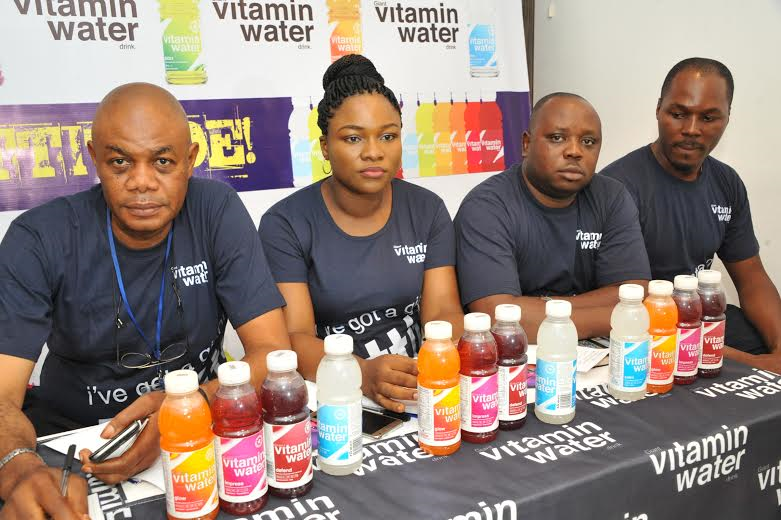 Speaking at a media briefing which took place at La Maison Faharaheit in Lagos, the Marketing Manager of Giant Beverages Limited, Mrs. Bose Ogunyemi disclosed that “Vitamin Water is the healthy non-alcoholic nutrient-enhanced water beverage brand that actually satisfies thirst. “It is made from demineralized water, infused with natural fruit extracts, vitamin and minerals unlike some carbonated drinks made from chemical compounds and sugar. It does not contain artificial flavours, colours and preservatives. Vitamin Water is a breakthrough product with a range of unique variants”, she added. Vitamin Water comes in a 500ml bottle size with 6 delightful variants – Blackcurrant-Acai, Lingonberry-Boysenberry, Pineapple-Passion, Orange-Lime, Lemon-Balm, and Prickly Pear-Kiwi. Each variant, according to the Marketing Manager, has a blend of vitamins and fruit extracts to deliver refreshing and naturally tasting hydration. 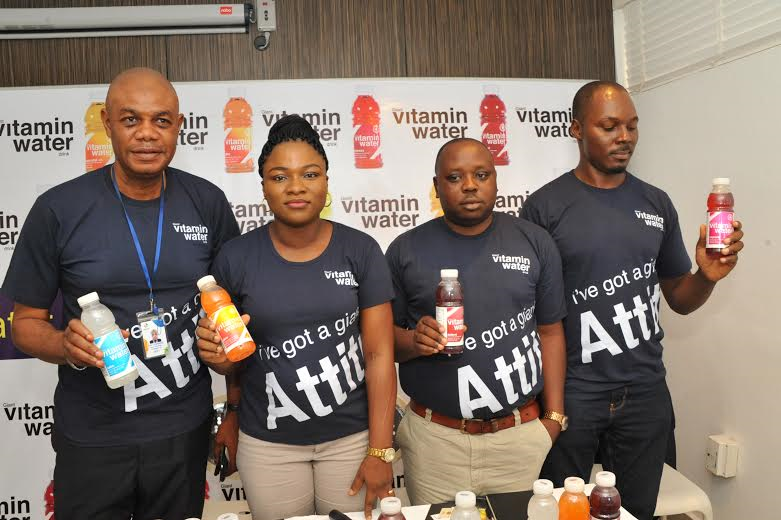 Also speaking at the event, Mr. Emmanuel Akpah, Regional Sales Manager Lagos and South West, stated that Vitamin Water is the first of its kind in the Nigerian beverage scene. He went on to emphasize that “It actually satisfies thirst. It contains vitamins and minerals that are beneficial to health.